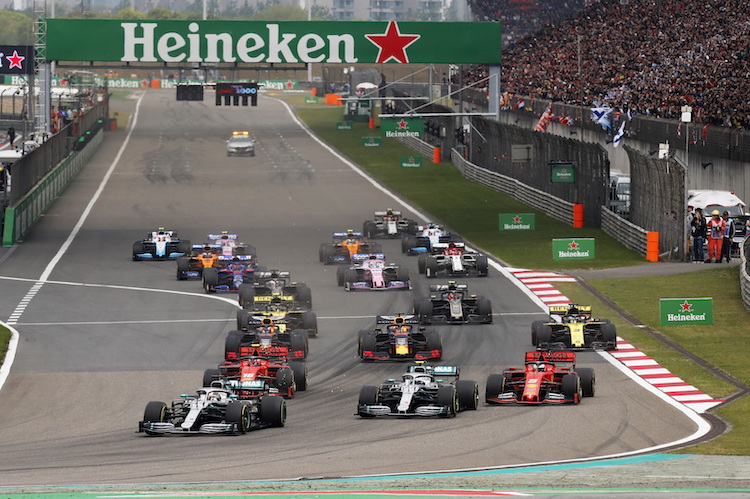 The Chinese Grand Prix in Shanghai is an early round in the F1 World Championship, which can often mean an unpredictable race. Overtaking is easily possible with the track boasting the longest straight on the F1 calendar at 1.175km! The Chinese Grand Prix circuit is located in the Jiading district of Shanghai, just 20 kilometres from the city centre. Shanghai is the tenth largest city in the world and has been a key part of the recent growth in Asia. 200 years ago the region was regarded as small with little significance, but this changed as trade started to build with western countries. Shanghai played a crucial role in the 19th Century Opium War and used to have a bad reputation due to the many brothels and casinos there. The city is much cleaner now and economic reform in 1992 allowed it to grow quickly. Shanghai now rivals Hong Kong as China’s most important business district and it has the busiest shipping port in the world. China originally expressed interest in staging a Formula One Grand Prix at the start of the nineties. The Zhuhai International Circuit was built and a deal was reached to hold a Grand Prix there in 1999 but the race was cancelled due to infrastructure problems surrounding the facility. The Chinese Government made another more serious attempt at Formula One in the new century and constructed the space age Shanghai International Circuit. Shanghai was chosen as the location to stage the Grand Prix as Beijing had been confirmed as the host of the 2008 Olympic Games. The circuit took only eighteen months to build and was ready in time for the 2004 Formula One World Championship. The circuit came at a cost of half a billion dollars and is regarded as the most advanced of any racetrack anywhere in the world. Shanghai is the typical Herman Tilke designed circuit. Much like Bahrain and Sepang it stretches out over a vast baron expanse and is made up of many varied technical corners that really test an engineer. The first turn spirals into itself, and from there drivers snake around a mix of fast and slow sections before reaching the1200 metre back straight. Like Sepang, the circuit has been built on a swamp and there are fears that some of the track will sink and will cause bumps on the surface. Strangely, drainage grates around the track edges have caused problems for race organisers because they were not originally secured very well. It would only take a car to run over them for a large piece of metal to stick upright from the ground, and in 2005 Juan Pablo Montoya retired when he hit one. The same thing happened during a touring car race and the driver was lucky to survive because the drain cut a hole right through the chassis and past his seat. The track does not rise or fall much, and is shaped like the Chinese character Shang which means ‘ascend’. A mammoth grandstand flanks the main straight and offers the best view because there are no places where the fans can get close to the action. The pits and paddock area of the track is the largest and most impressive in the world, and the teams reside in bungalows rather than motorhomes. Red is a lucky colour in Chinese culture so maybe that is why Ferrari has won half of the six races there. Strategy plays a key role in Shanghai because the lap is very long and there is a big punishment for stopping too early or too late. The track has such a wide mix of corners that a car will always struggle on at least one part of the circuit as engineers try to come up with the best compromise. The very long back straight allows for overtaking, but if you can’t get close enough to the car in front to pick up a slipstream they may just power away from you. The braking zone into the hairpin is huge so there is always some action into that corner, and in the dry it is the only real overtaking place on the circuit. There are plenty of places to pass in the wet because the many different corners require different driving styles, and some have different lines. Modern aerodynamics make it too difficult for the cars to race closely otherwise. Turn one is a great challenge for the drivers as it spirals through a full 270 degrees. The drivers lose 200kph of speed throughout the bend and have to slow the car down gradually, rather than slam on the brakes like they do for most corners. The long turn that leads onto the back straight is tricky as well because it also rotates through 270 degrees. Drivers enter the corner from a tight left hander and are under acceleration as they change direction. This will become increasingly difficult because the driver must get a good quick run onto the back straight. A few tenths lost at the start of the straight will turn into a few seconds at the end. Both corners allow the driver to take several different lines and this is especially evident in the wet. The racing at China is usually fairly good and three of the five races there have been very exciting. The weather may play a part and if it does the Grand Prix will become fascinating because almost every corner will have a few possible racing lines. 2004 : Michael Schumacher had an awful weekend during Formula One’s first visit to China. He spun in qualifying and had to start from the pitlane for the very first time in his career. He had another spin during the race, as well as a collision with Christian Klien, and capped off his afternoon with a puncture. In the end he finished off the podium for only the second time all season. 2005 : Michael Schumacher had another abysmal Grand Prix that started when he crashed into Christijan Albers on the formation lap. It didn’t get any better and on lap 20 he spun into retirement whilst behind the Safety Car. 2006 : After a collision on final lap, Nick Heidfeld stormed up to Sakon Yamamoto and blasted the Super Aguri driver for causing the accident. Heidfeld was angered further by the lack of response from Yamamoto, but had to offer an apology to the Japanese driver once he was informed that it was actually Takuma Sato who had triggered the collision. 2007 : Sebastian Vettel timed his pitstop in wet conditions to perfection and finished fourth. It was a massive relief for the German who had come under enormous criticism for taking Mark Webber out of the previous race in Japan.